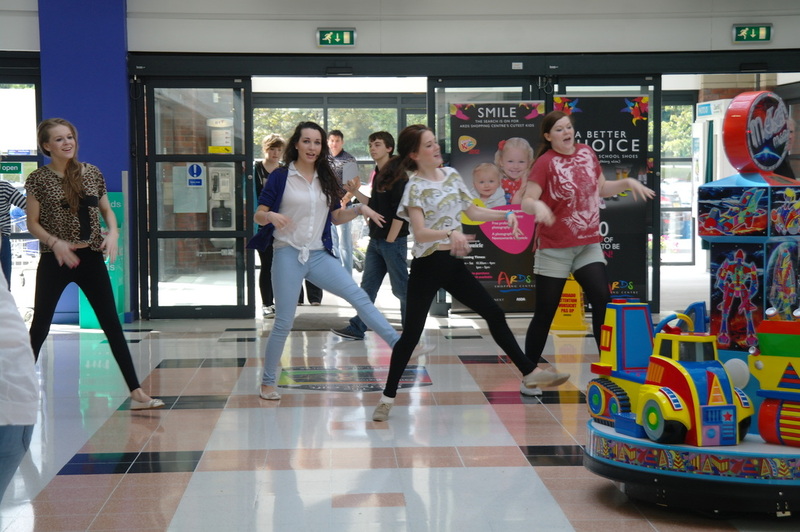 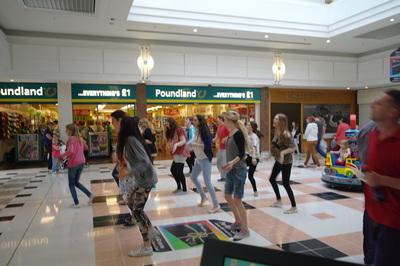 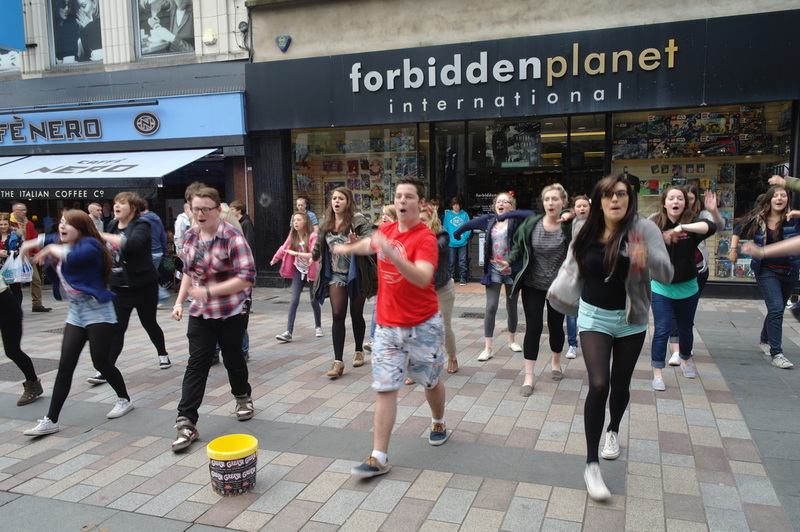 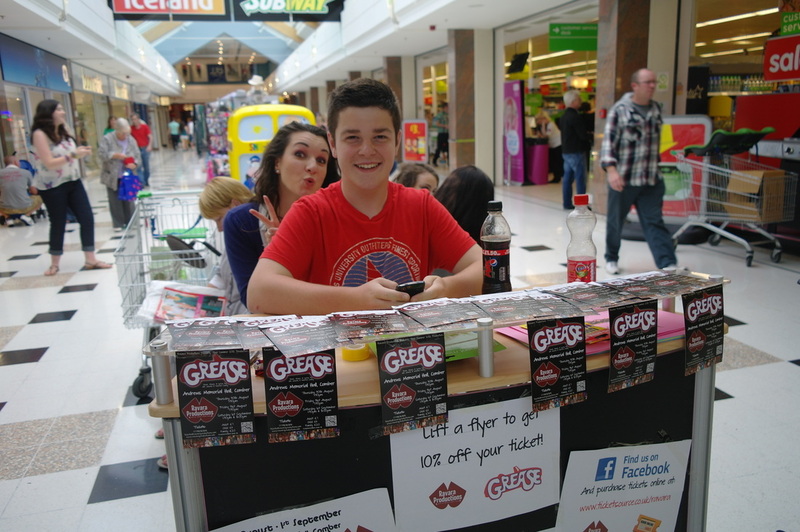 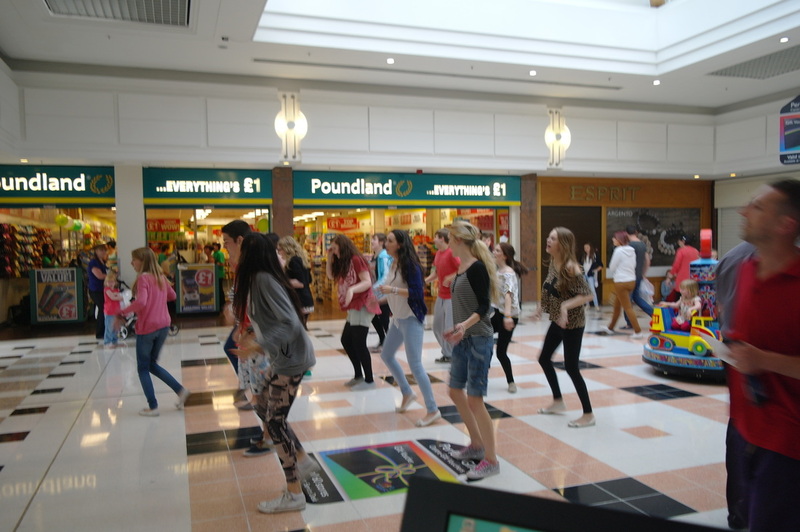 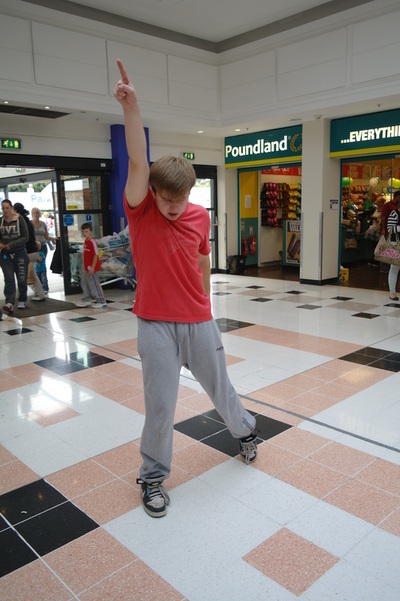 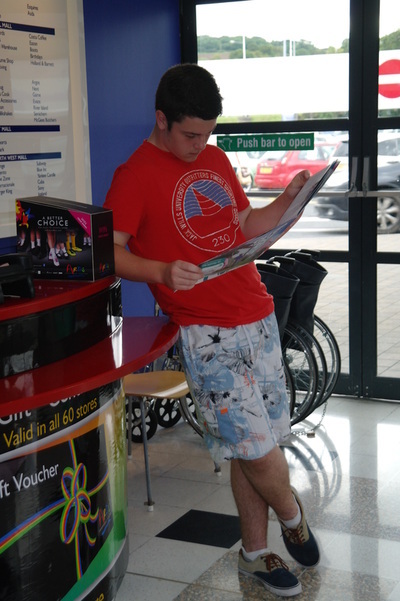 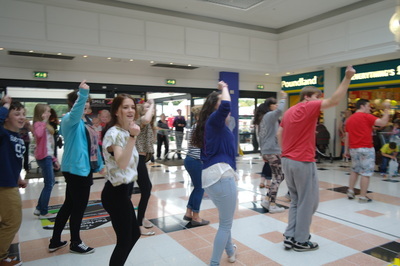 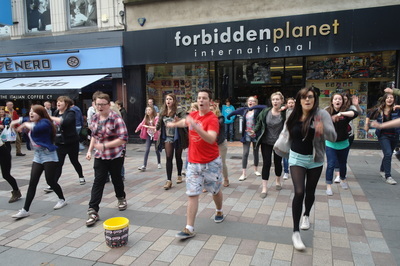 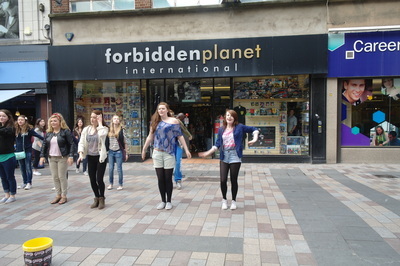 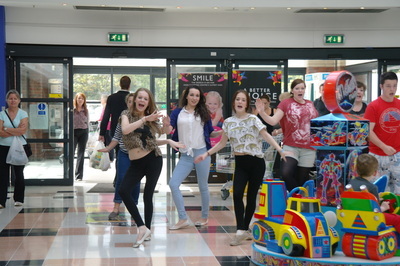 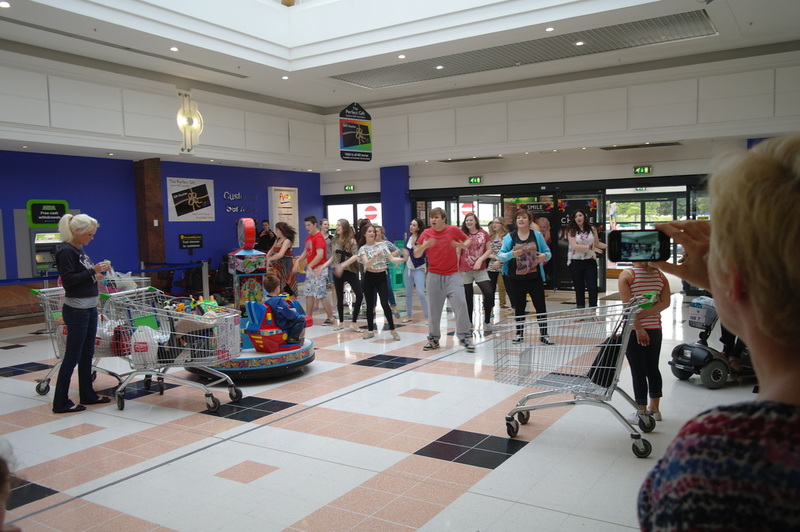 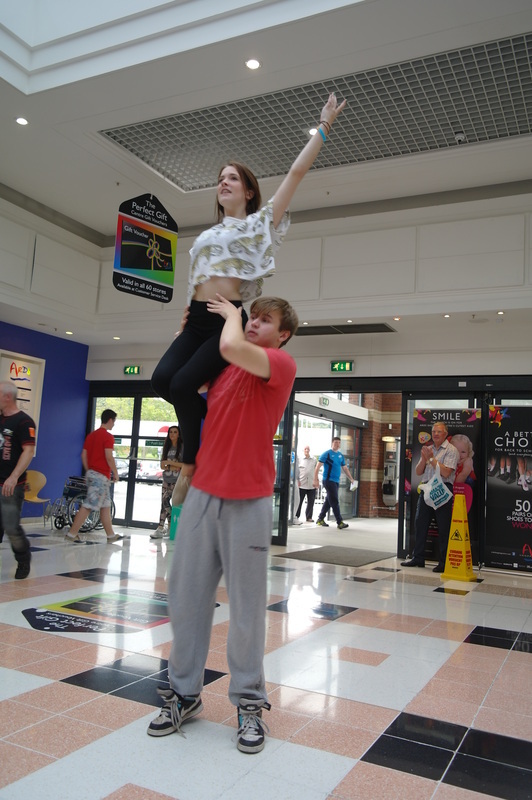 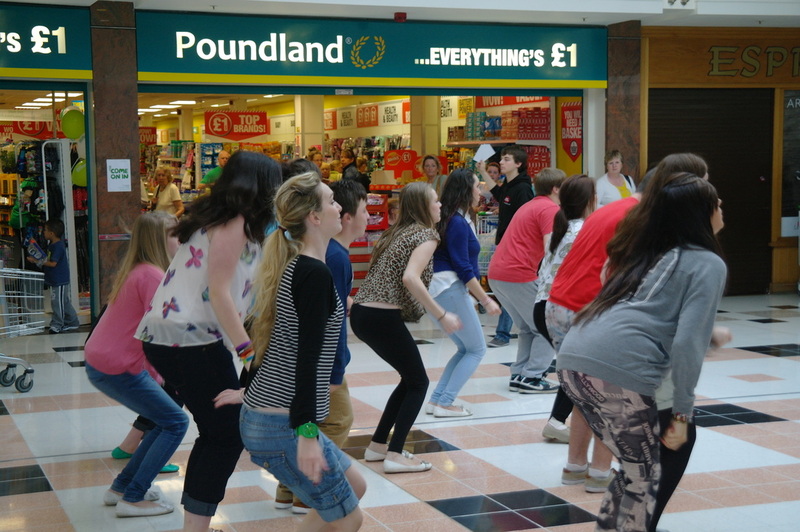 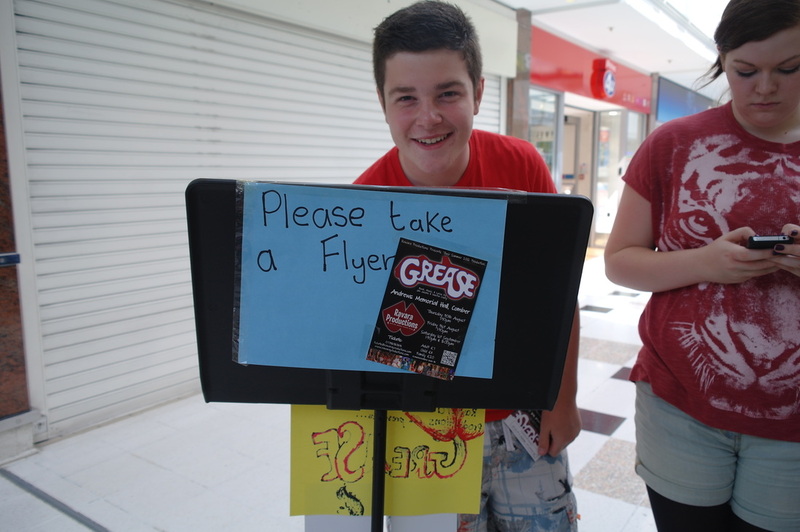 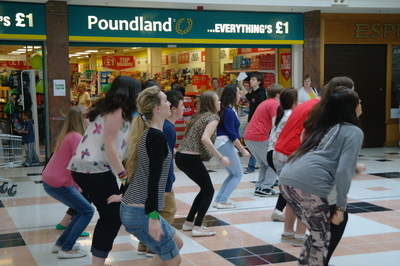 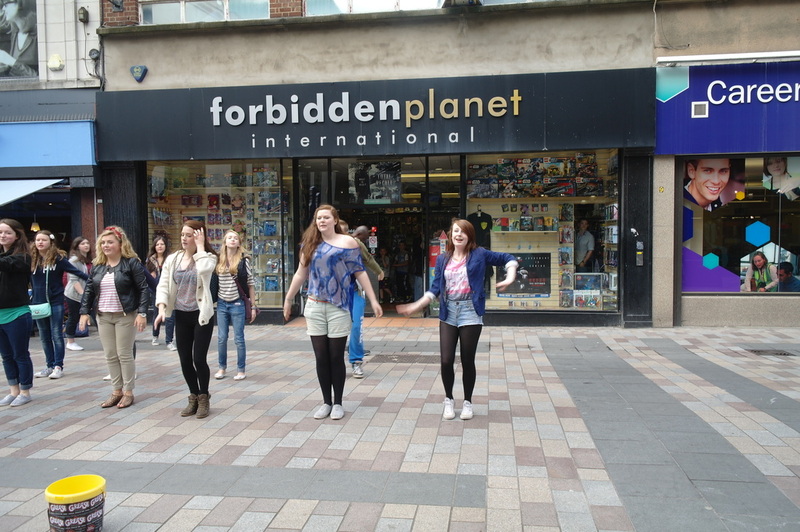 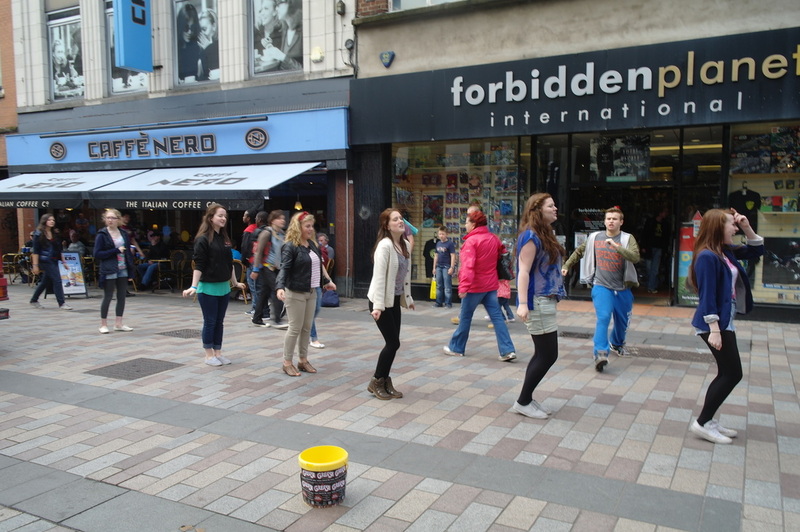 On Friday 17th August customers were treated to a flash mob by members of Ravara Productions, the local group of teenagers danced to some of the well known tunes from Grease which they are performing in Comber in the coming weeks. 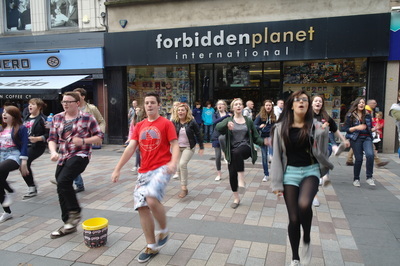 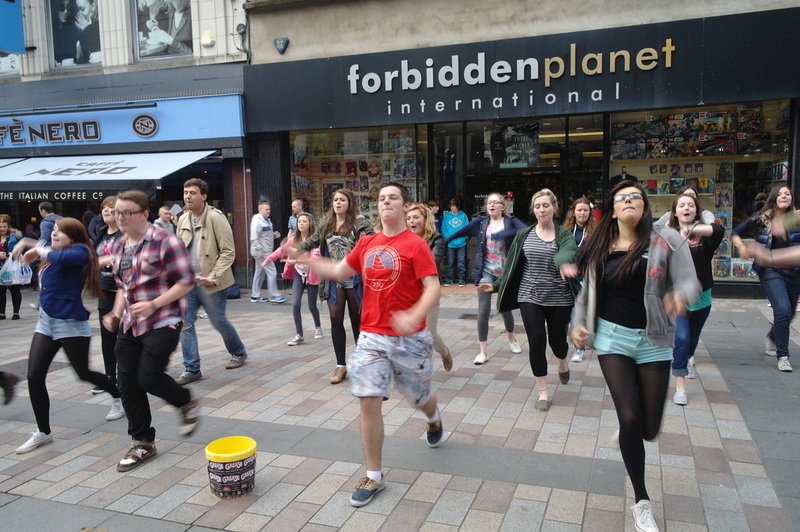 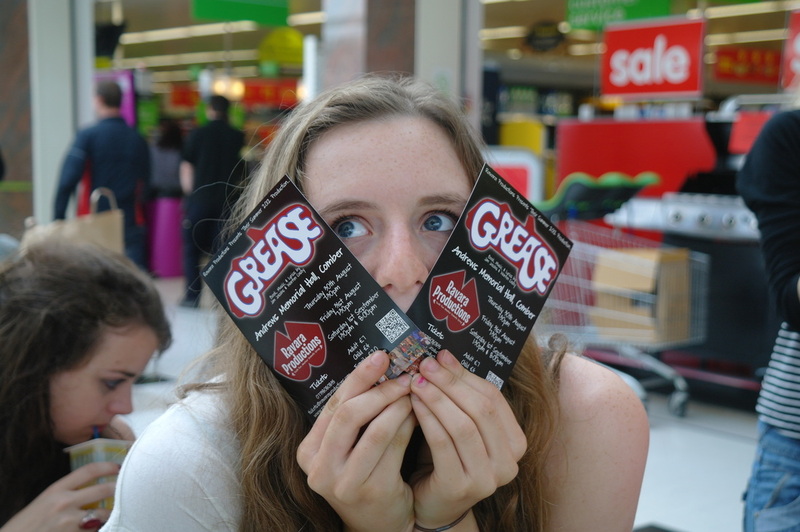 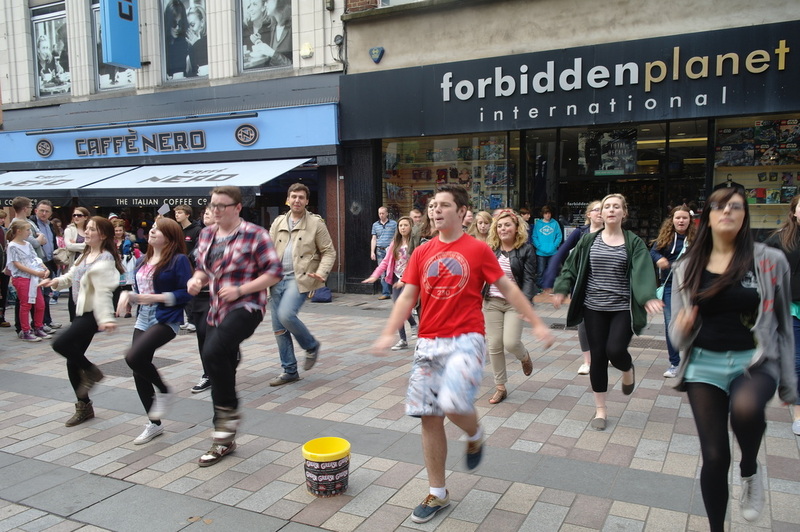 During our busy rehearsal schedule for our 2012 summer production of “Grease” we managed to fit in a number of flashmobs on the run up to opening night. 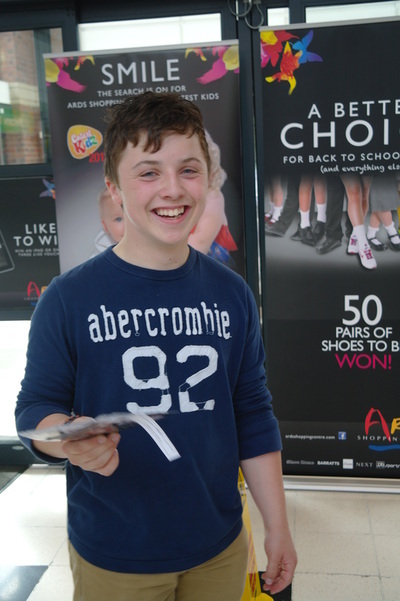 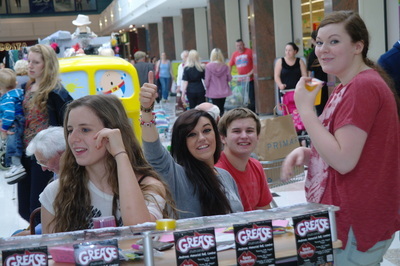 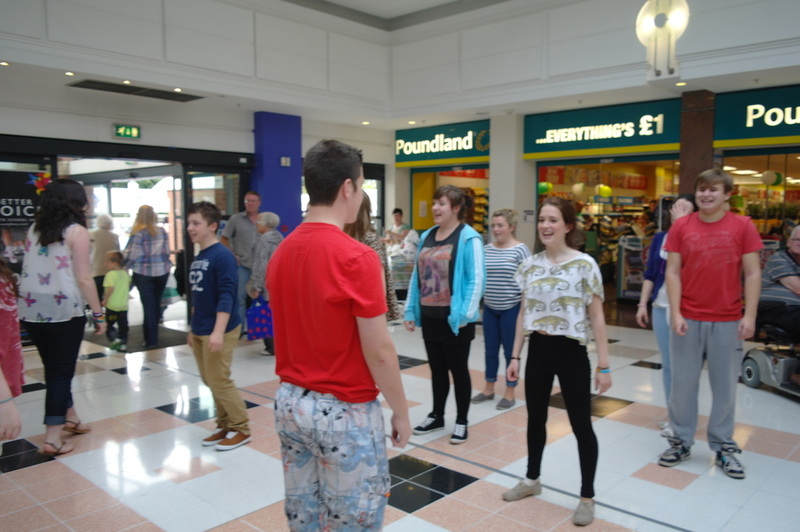 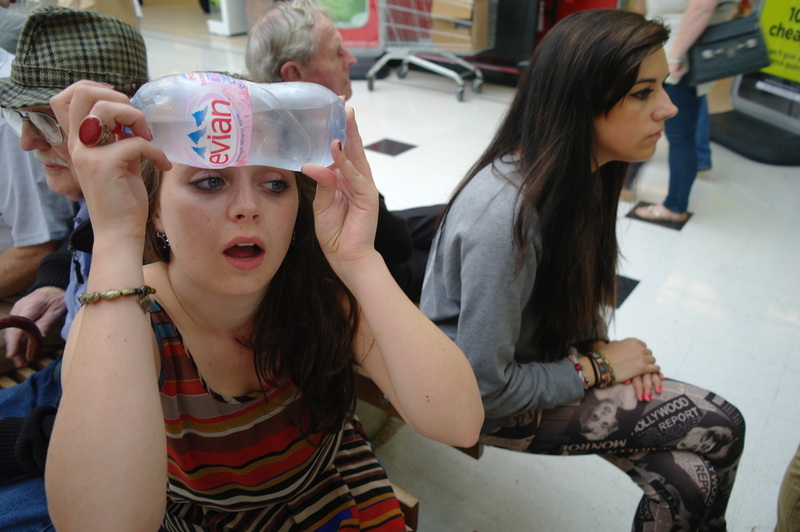 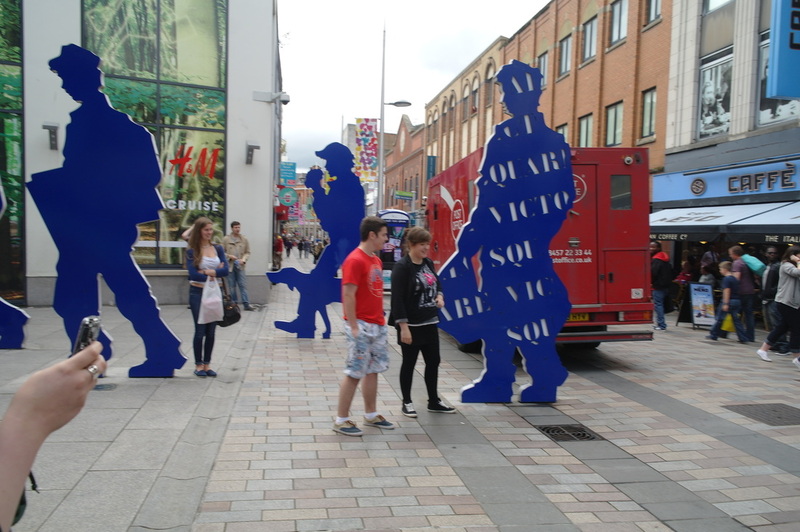 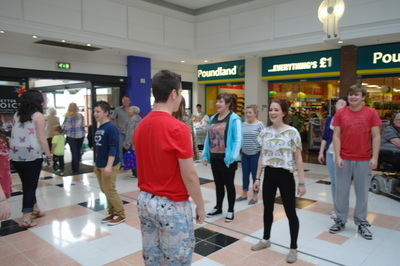 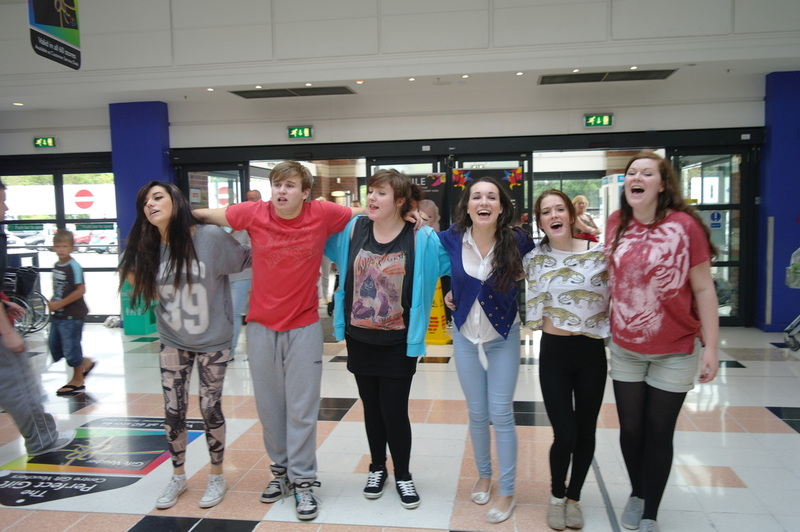 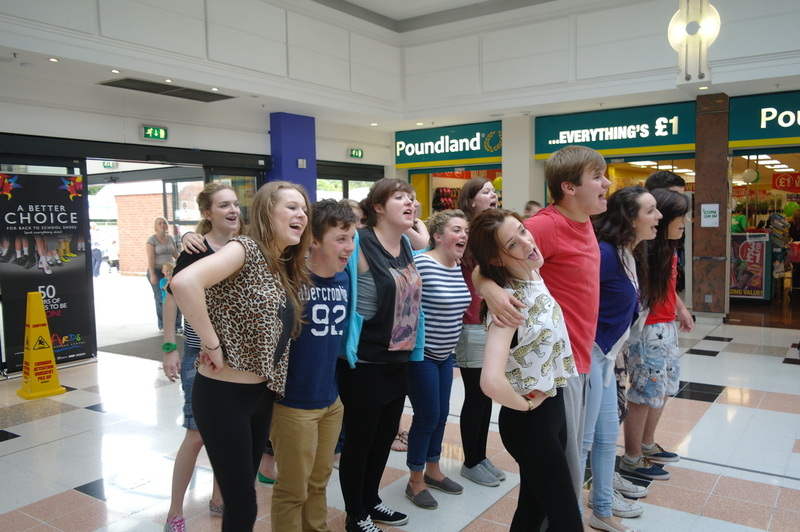 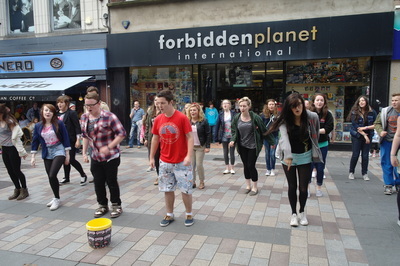 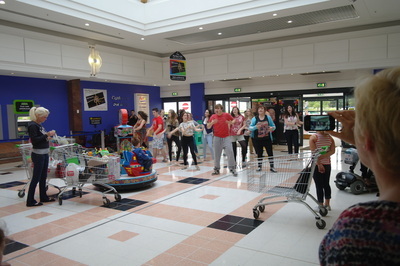 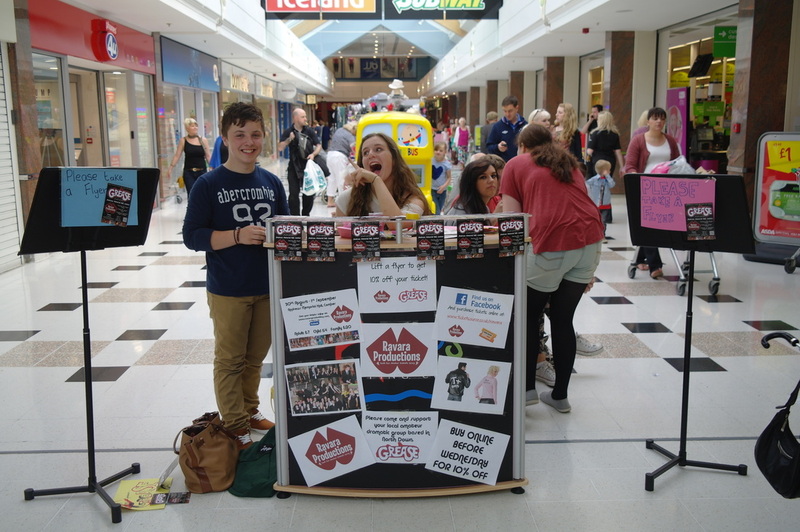 Our first mob took place at Ards Shopping Centre, Newtownards on Friday 17th August. 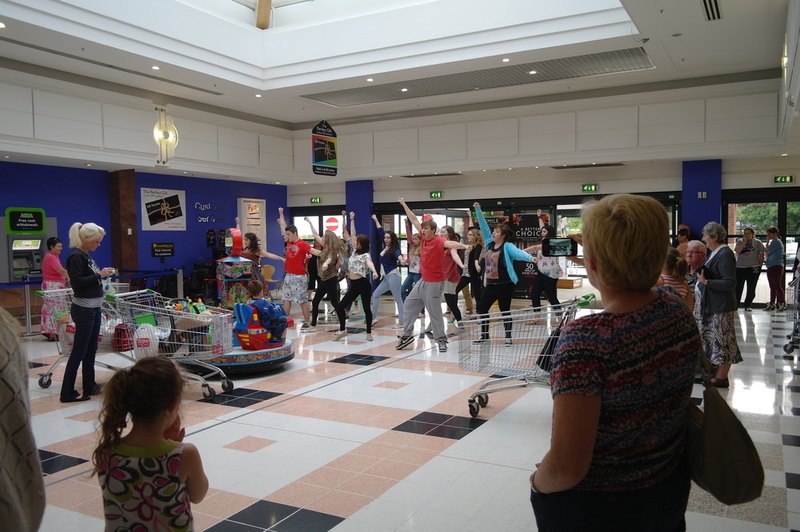 Hundreds of customers passed doing their weekly shop as they were treated to some all singing, all dancing ‘spontaneous’ entertainment! 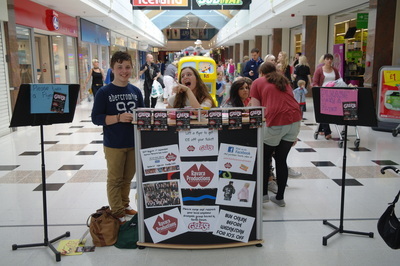 The interest in our organisation was terrific! Not only did our performance attract many passers-by to take photos and videos, but many were keen to learn more about Ravara Productions and others to purchase tickets for our production. 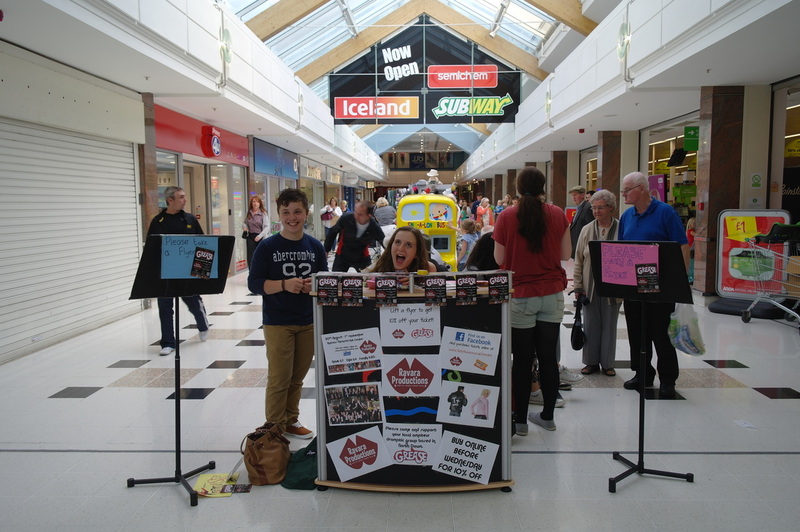 It was great to take our material into the community and it was very encouraging to see such interest in the work we do. 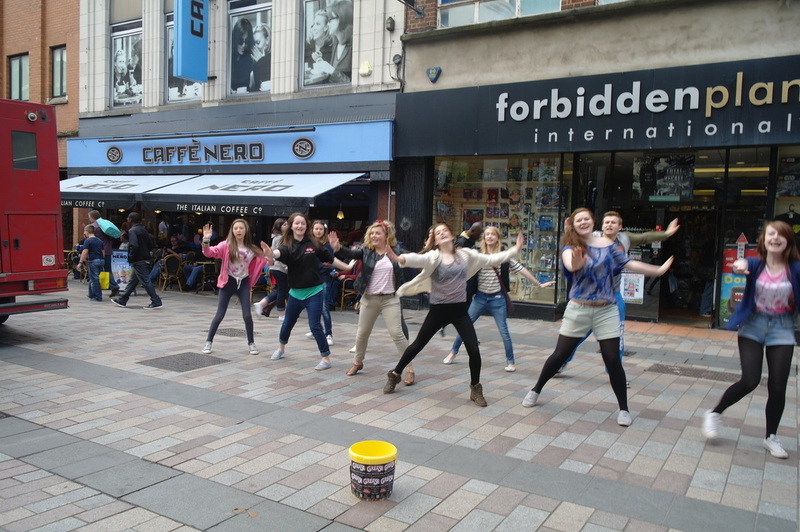 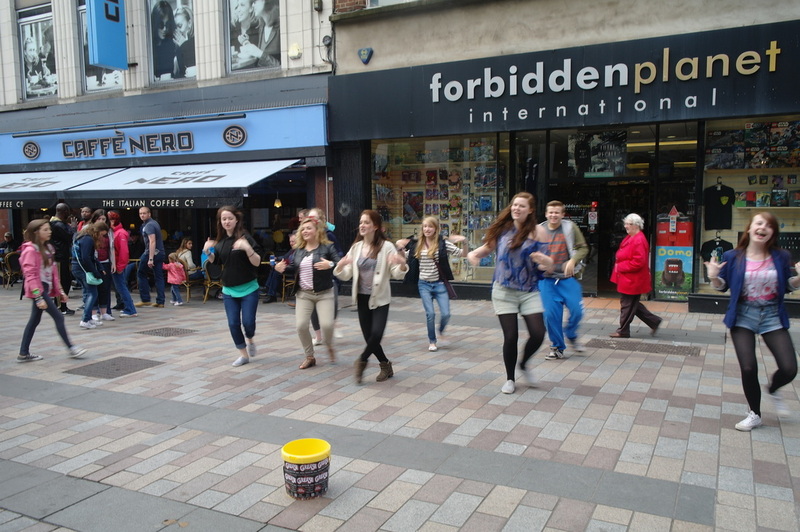 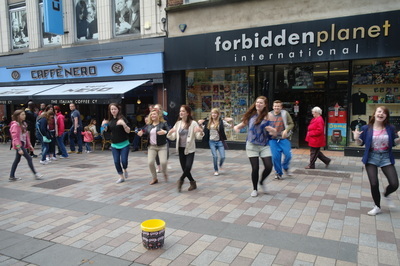 Due to the success of our first flashmob, coupled with the enthusiasm from our cast, we were able to take a few more in and around Belfast city centre. 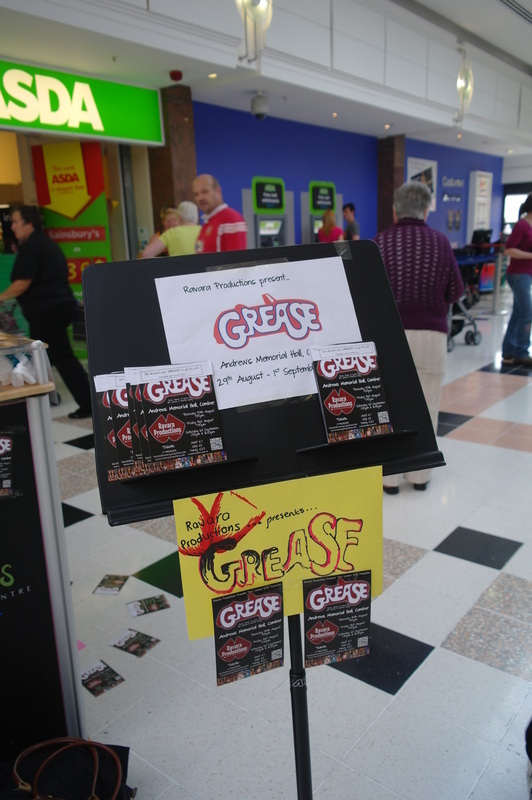 Again, this time we experienced great interest and in some cases some charitable donations towards our production costs. 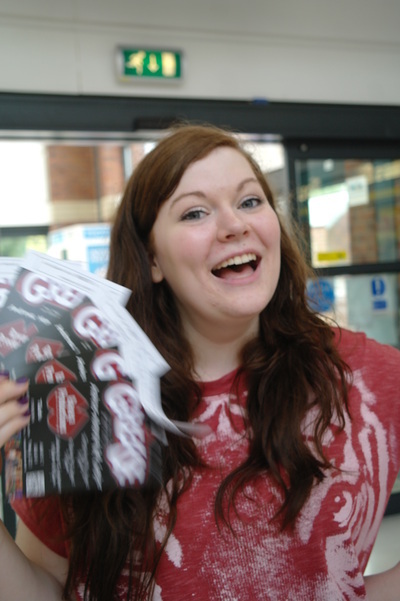 What a great way to spread the Ravara joy!